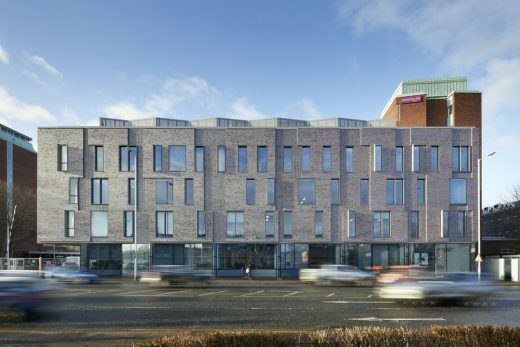 University of Manchester Schuster Annexe Building, Manchester, is one of 9 buildings have been shortlisted for the 2018 RIBA North West (Royal Institute of British Architects) Awards; the winners will be announced at an Awards evening at One Fine Day, Liverpool on 16th May 2018. 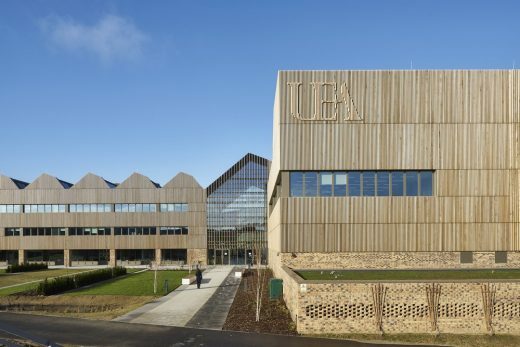 Urban Sciences Building, Newcastle University, is one of twelve buildings shortlisted for RIBA North East Awards 2018 by Royal Institute of British Architects judges. The winners will be announced at an awards ceremony at The Museum Gardens, York on 24 May. The Apple Store, Kent one of fourteen buildings shortlisted for RIBA South East Awards 2018 by the Royal Institute of British Architects judges. 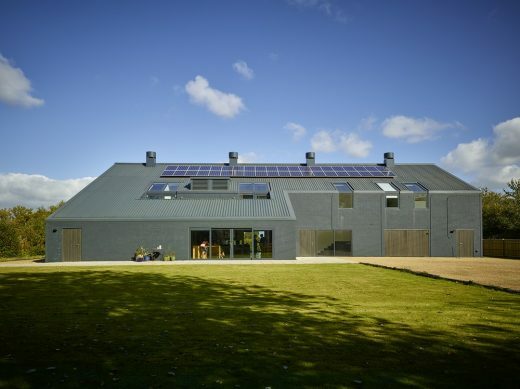 There were 43 buildings entered in the region, which covers Kent, Surrey and Sussex. This architect office beat a six-strong shortlist to win the Glasgow University campus project. 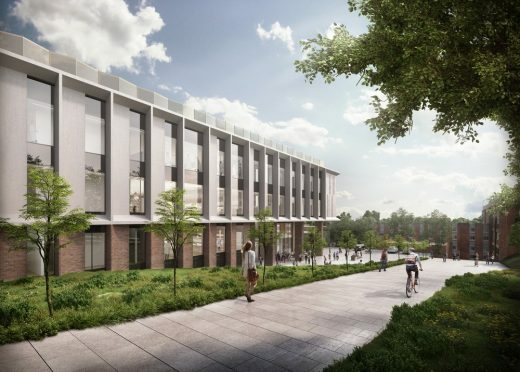 The University of Glasgow has selected a team led by Hawkins\Brown Architects to design its new College of Arts building. 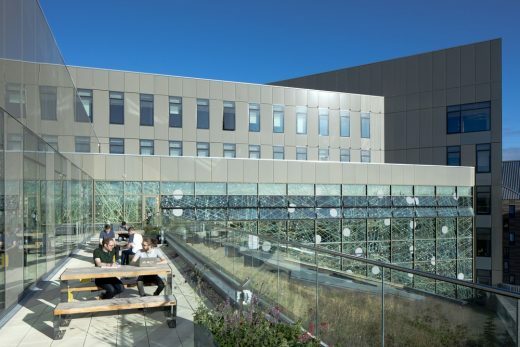 The £36m building is part of the university’s £1bn campus development programme on the site of the former Western Infirmary. The College of Arts will be on the south of the site, facing Kelvingrove Museum and Art Gallery, forming a new cultural quarter in the west end of Glasgow. Over the next year, the design team will develop the new building from concept to detail design. It is envisaged that construction will be completed in 2022. Multiplex was appointed programme delivery partner for the University of Glasgow’s campus development last year. John Graham won the enabling works packages. 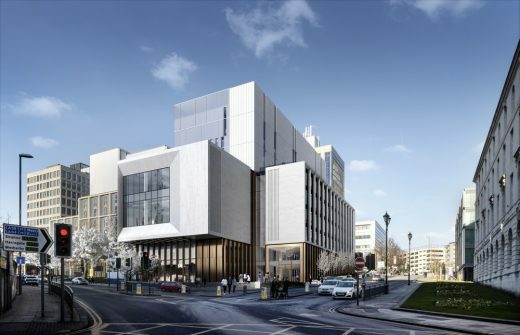 Leeds Beckett University in conjunction with their development Partner Downing Developments has unveiled designs for a new £75 million Creative Arts Building designed by Hawkins\Brown. Plans submitted for the 14,500sqm scheme will provide an iconic home for academic, creative and cultural activities in the civic heart of Leeds, becoming a stand-out landmark site for the Northern Film School, Music, Performing Arts and Fashion students. 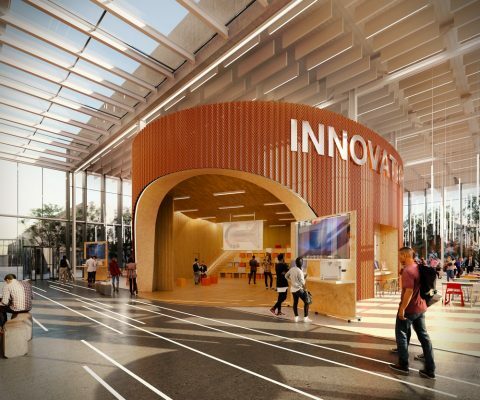 A new state-of-the-art Life Sciences building has been approved by Brighton & Hove City Council. 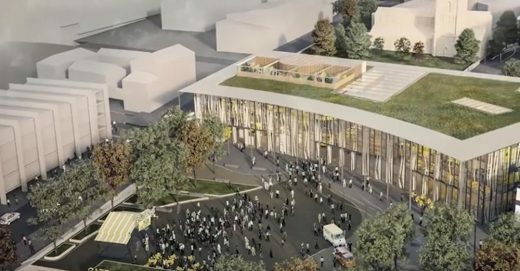 The University of Central Lancashire (UCLan) and the Royal Institute of British Architects (RIBA) are delighted to announce that Hawkins\Brown have been selected as the winning team in the RIBA competition to design a new circa £60 million student support centre and civic square for the University of Central Lancashire in Preston, North West England. 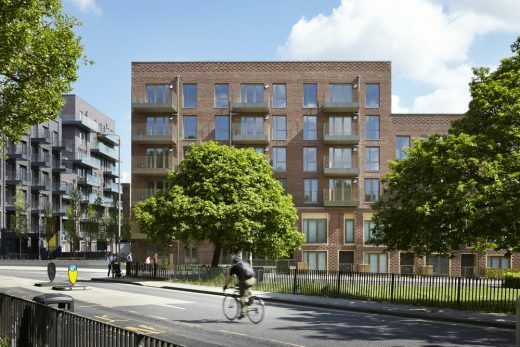 Peabody has completed 153 homes for social rent, shared ownership and private sale, in phase one of its masterplan for the redevelopment of St John’s Hill in Battersea. 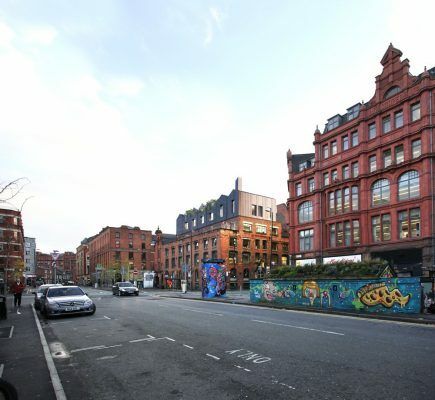 Planning permission has been granted for a new extension for the rooftop of 24/26 Lever Street, located off Stevenson Square in Manchester’s Northern Quarter. The plans for the new rooftop project are a shared vision created for creative communications agency The Neighbourhood by architects Hawkins\Brown and interior designers The Sheila Bird Group. 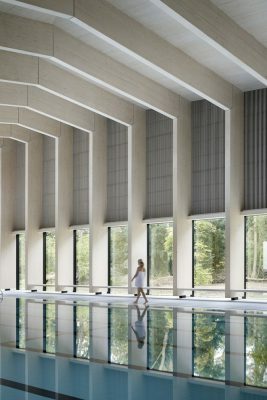 The client and the architects have addressed the somewhat contradictory demands of conservation and commerce. The team has worked with stakeholders English Heritage to find a balance between retaining the Brutalist language while changing public perception of the building. New iridescent coloured panels give the street frontage a changing face while not challenging the original architecture. Architecturally the buildings embody the concept of sharing in a variety of ways. They thus celebrate not only economy but the spirit of education, which best derives from spontaneous meetings, interaction, and gathering. 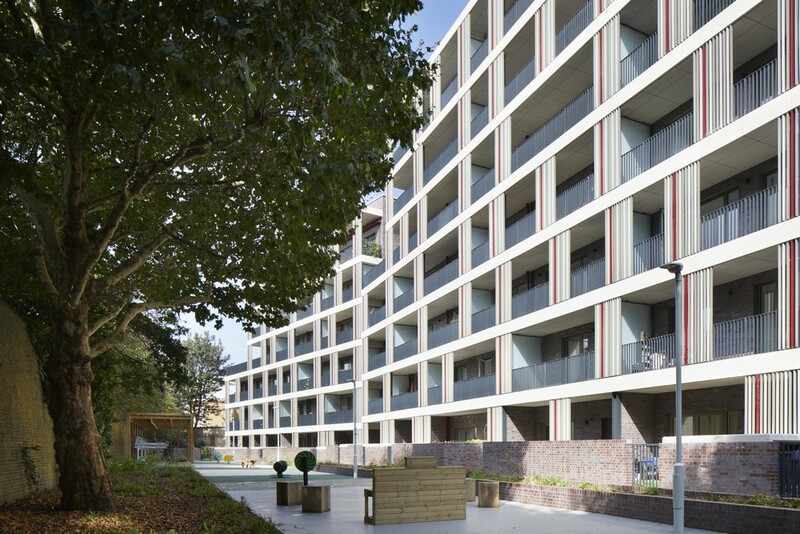 The arrangement of the eight dormitory buildings creates a series of shared vistas and shared green commons across the site, spaced out enough so as not to steal light from each other. Every room has east and west aspects. For every group of six dormitory rooms, there is a shared communal room and kitchenette. Architect studio led by Roger Hawkins and Russell Brown. These are the founding directors of Hawkins Brown. October 14, 2018 in Architects.